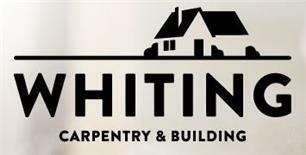 Whiting Carpentry and Building - Builder, Carpenter based in Steeple Bumpstead, Essex. Utilising more than 25yrs experience of bespoke carpentry and joinery for houses in Suffolk, Cambridge and Essex, we enjoy an excellent reputation for specialist carpentry and building services including bespoke oak work, timber framed houses and extensions, conservatories, roofing and patios. We also undertake staircase fitting, roofing, kitchen fitting, tiling, hanging doors (internal and external), gates and fencing projects as required by our customers. We pride ourselves on our professional approach to every project we undertake. You can feel confident if we are working for you, or on your property, we'll follow a few simple steps to ensure the project runs smoothly for all.